I was sitting at the table on Monday 9 October, and was working through my morning staples: Rachel Maddow (a post-Trump addition), Stuff, Inner Ring, Cyclingnews, and a great big bowl of porridge. Last but not least was my Facebook feed, and there sat an advert for a Tour de France Tour. I'd seen it a month or so earlier, but hadn't paid it much heed then. On the Saturday, two days prior, I'd finally written about putting myself through the ringer at Club Nationals and was close to confronting the 2016 North Island Series in a second "write about it so you can stop thinking about it" post. I'd hoped that the culmination of those was going to be some clarity about which basket it was worth putting my cycling eggs into (and which not). So, the fact that I needed something different was pretty fresh in my mind. Reading the details of the Tour a bit more closely, it struck me what a fascinating match it was. It well and truly ticked the cycling box. 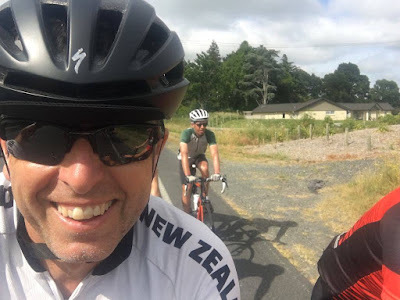 My history of depression, and the role cycling has played in its management (and also identification), offered interesting opportunities with respect to the chosen charity - the Mental Health Foundation of New Zealand. And, somewhat ironically, given my step away from structured training, even the thought of working with one of NZ's cycling superstars, Hayden Roulston, had great appeal. It got me, hook, line and sinker. When it's on song, my brain works fast, and within an hour or so, I'd discussed the prospect with Sarah, and had fired off an email to the organiser, Jonathan Douglas, and was thinking about the sales-pitch at work. Sarah had asked useful questions, one of which was to tease out the relative merits of a trip like this, and some sort of repeat of Le Cycle-Tour de France. While I'm a big fan of a "choose your own adventure", the logistical aspects of the cycle tour had worn thin after four weeks, and I realised the thought of being looked after, as Rouleur Tours promised to do, had great appeal. Having secured Sarah's blessing, by the end of the day, I had been accepted onto the team, and had a meeting scheduled with the boss to talk about a month off next July. By the end of the week (one of the virtues of joining in late in the peace), I discovered I was one of eight riders on board, and the process of becoming a team was underway. The Tour de France route was announced by ASO, the owners, the following week, and as if I needed another sweetener, the Tourmalet (aka, the one that got away) was on the route. What's more, Jonathan had proven his worth by pulling an all-nighter booking strategically located hotels. In amongst all of that, he also been able to find a weekend at the beginning of December that we were all free and had booked accommodation for our first team-gathering, in Cambridge. The lead-in to the training camp was far from ideal. Two weeks out, I had a stressful work trip to Malaysia. In hindsight, being told I couldn't check in with my passport showing only 5 months and 13 days to expiry was the world trying to tell me to stay home. $1000 and 16 hours later, I not only had a brand new passport, but also new flights that would get me to my meeting on time. 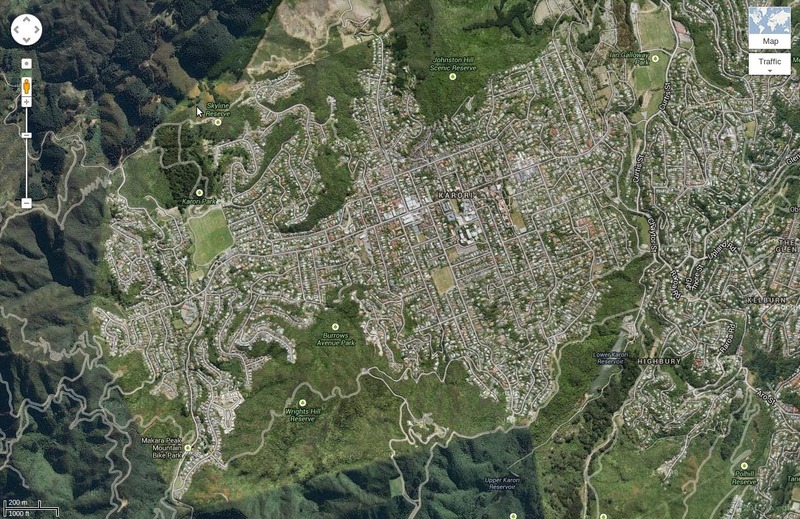 Less than 72 hours after that, I was back in Wellington, with the beginnings of a cold. Tuesday morning's treat was a CAT-scan (which ruled out what they were most worried about), and the following morning I gave a summer-school lecture with an IV line hanging out of my elbow. By Friday morning, the aggressive course of antibiotics, near-complete rest, and the passing of time had helped, and when Kaitlyn, Khulan, Sarah and I drove north out of Wellington, my bike hanging on the rack had a 50% chance of being used. 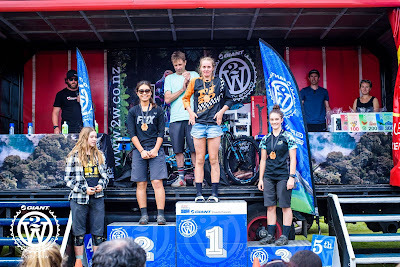 Kaitlyn and Khulan were entered in the 2W Enduro, and Sarah, who was herself becoming sick, had a road bike with her. Sarah and I dropped the girls at the Whakarewarewa carpark - watching them set off alone for their ride prompted me to reflect on what amazing young women they were. As I proudly proclaimed on Facebook: "happy, healthy, confident and capable." I helped Sarah with their supermarket shopping, and then pushed on for the solo drive to Cambridge. Being notoriously bad at learning names, I kept myself entertained during the drive by trying to list everyone - we'd been receiving regular group emails from Jonathan and Hayden, to which we were all replying. We'd also set up a Strava group, so we could keep an eye on how much less we were riding than everyone else. I was missing the eighth member for a long while, until I realised I had grabbed someone's first-name and tacked onto it another's surname. It was a useful exercise, and it definitely made things much easier once I got to Cambridge. I was the last to arrive, which meant we were soon getting down to business. Jonathan introduced himself, and spoke a bit about the ground we'd already traversed together. We were then asked to introduce ourselves, and also to say what we were most worried about. Unfortunately, I'd sat in a bad spot, so was first. Had I had a bit more time to reflect, I think I would have talked about the importance of getting the team dynamics sorted: eight guys all at risk of deferring to one another's preferences for pace, appetite, bed-times, etc, and the challenge of getting that all right over a period of almost 4 weeks, and 3600km of roads. Instead, I blurted out "the cobbles" - Stage 9 into Roubaix has 21km of centuries-old roadways in it. In any case, I was off the hook. Next was Aaron, from Rangiora, about to do his 10th Coast to Coast; Paul and Mike from Auckland; Stuart, from Christchurch - a Christchurch Mitsubishi team-mate of David Rowlands, and the only name I'd recognised when the first introductions were made, and too modest to tell us all he'd won NZ's premier stage race, the Tour of Southland; Jason, from Hawke's Bay; Steven, the third Mainlander, a general practitioner in Waimate; Bruce, an air-force mechanic and now recruiter, living in Auckland; and finally, Hayden himself, Olympic silver and bronze medallist, and Tour de France finisher in 2009 with Cervélo TestTeam. Also in attendance was Matt, a young videographer from Nelson, and an old friend a collaborator of Jonathan's. It was great to hear from everyone, and to start the process of putting faces to names. That all done, we headed into Cambridge for dinner. Good conversation came easy. One of my first tasks on Saturday morning was slightly mortifying: 1 x antidepressant; 1 x antibiotic; 2 x panadol and 2 x nurofen. The latter were dealing with a sprained rib, sustained when trying not to cough too much when sitting in the ward, and/or trying to deliver my Wednesday and Thursday lectures. That handful of pills on board, it was a 100m walk to our breakfast venue, the extremely local cafe. 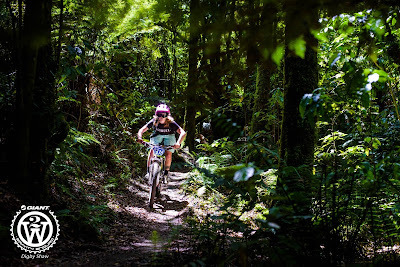 I ate well - my body had mostly passed diagnostic checks, and I was committed to riding, albeit with the understanding that I'd need to pull the pin if need be. Back at base, we all suited up, and once Matt was done with some photos, we were ready to roll. Hayden had lived in Cambridge on and off when he was training on the Velodrome there, and had selected some sweet roads for our first ride together. 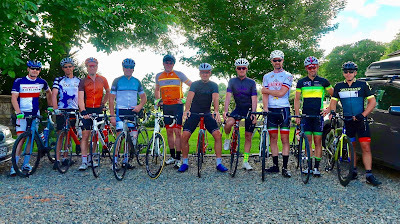 I rarely ride in a bunch, with exceptions usually being in races, at which time chatting is not really high on the agenda. So, the constantly changing conversation-partner was a bit of a pleasant surprise. Having sorted who everyone was looking at them front on, it was surprising how long it took to get their "from behind, on-bike" appearance sorted too. Matt was on fire with his video camera. He was in a car, and was constantly leap-frogging us, but never in the same way. We'd pass the camera sitting on a small tripod on the roadside. Then he'd drive by with a larger tripod sitting astride the passenger's door with two legs inside the vehicle and one out. The one that really made me laugh was when he appeared in front of us with the boot open, and the tripod sitting on the tray, camera pointed at us. He was obviously in his element, and it was a pleasure to watch. It was a lovely day, and not a good one on which to head out with only a single bottle. Luckily, we pulled into Hobbiton's garden just in the nick of time, and made good use of their drinking fountain. The breather was nice, but for Matt, it was another chance to work, and he got busy interviewing a few of us about our experience so far. After close to half-an-hour chilling out, we rolled out again. 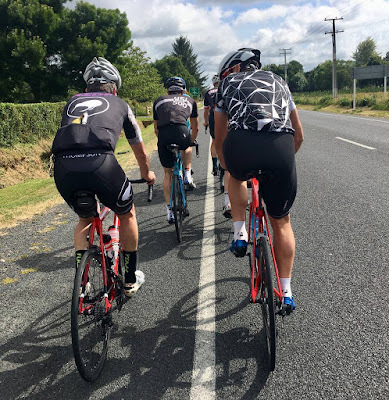 Soon after we were cruising back into Cambridge, uneventfully, apart from a nifty rear-wheel lock-up well controlled by Aaron on the way down to the Karapiro Dam. After lunch at the cafe, we each had a one-on-one meeting with Hayden. When my turn came, we talked a tiny bit about riding, but the main focus of our chat was on nutrition. I'd like to write more about that another time, but what interested - and impressed - me most, was the holistic approach he was taking. He'd made it immediately clear to us all that a big part of his coaching, not only of us, but of all his clients at Roulston, was a focus on nutrition. He's clearly learnt a hell of a lot about fuel in his many years as a professional cyclist, and while it's no surprise that he wants us to benefit from his sometimes hard-won lessons, it was when he said "and I think this might be good for your mood too", that I realised how seriously he was thinking about each of us on this project. While us riders had merely had to learn each other's names, and retain what detail we could about work and family and riding, and other standard titbits. He'd clearly done a lot of prep, and had been thinking about us as individuals. Despite the common goal, out paths towards it show signs of being individually crafted, and carefully at that. Things were working pretty much like clockwork, and by the time we were done with our one-on-ones, Keshlar, our liaison person from the Mental Health Foundation had arrived. She told us a bit about the Foundation and its goals, and did a great job impressing upon us the importance of the fundraising aspect of this project. She also made it clear how much it is appreciated. Before she headed back to Auckland, she gave us all a goodie box - various collateral from the foundation was expected, as were the "I'm supporting the Mental Health Foundation" t-shirts, but the croissants and French chocolate were a lovely touch. Dinner in town followed, and then another handful of pills, before a bloody good sleep. I was pleased to wake to discover I'd not done myself a mischief on the previous day's 100km ride - literally my first ride in a fortnight. Matt had headed back to Nelson, so we didn't have the pleasure (and entertainment) of his company. But, we'd been joined by Cam, who'd be travelling with us to France as team mechanic. While Matt had been in the vehicle, Cam was riding his bike. That, and the fact that almost everyone was dressed differently, added a small challenge to rider identification, but it was good to see names were sticking. Our ride covered few of Saturday's roads. Hayden had foreshadowed a climb "to see what you've all got", and by the time we got there, I had less than I would have liked. That didn't stop me from trying to eke it all out, nor regretting slightly travelling with my mudguard and commuter-light-laden Crowe-Rishworth. Given my health, I could have done with my race bike, I think. Soon after the climb, we were treated to some absolutely gorgeous road, aptly named "The Brunskill Rollercoaster". I may not have enjoyed it quite so much had it been 20 minutes down the road, as by the time we got back into Cambridge, I was pretty much running on fumes. Cheeky selfie by Jonathan. Over his shoulder, Jason, who'd brought his A-game to the hill test and went up like a rocket! Once we were back at base, it was time for our fourth and final meal together at the cafe. I'm sure they hoped we'd come again - nothing like ten hungry cyclists to keep the kitchen pumping! Then, it was time to scatter to the winds. Sarah had ridden towards me from Rotorua, and while I'd been hoping she'd arrive in time to meet everyone, the wind, heavy traffic and heavy cold all worked against her and had meant slow progress. She'd handled conditions well though, and we were reunited a mere five minutes after I'd bade the fellas farewell. Our under-19s had ridden different categories in the 2W event. ... while Khulan had placed second in the 6-hour shuttled option. Neither parent had come a cropper on the road, and so all in all the weekend was a glorious success. We celebrated in the confluence of a hot water stream with a cold one, just south of Waiotapu. Just what the doctors (and daughters) ordered. I'm down to two nurofen a day to keep the rib pain in check, and making the most of the university closure, the fine weather, and the last few days before Hayden's first training block begins! Yesterday's highlight was Matt's handiwork surfacing. View it here, and start putting faces to names yourselves. Merry Christmas to you all, and see you in the New Year!